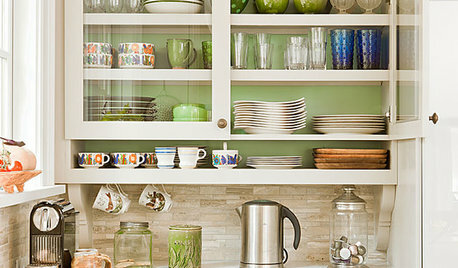 Can you post some pictures of your kitchen? 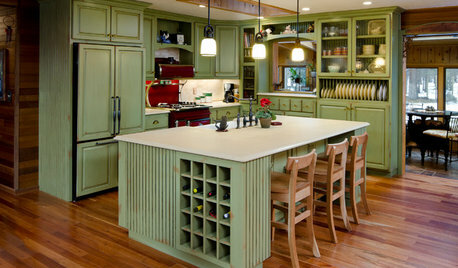 Almond appliances are very neutral, and not something I would factor into what color to paint the cabinets. If you had black appliances, that would be a different story as they're so dark, but almond are so light, they add light to the room. The only thing I wouldn't do is go with a bright white. 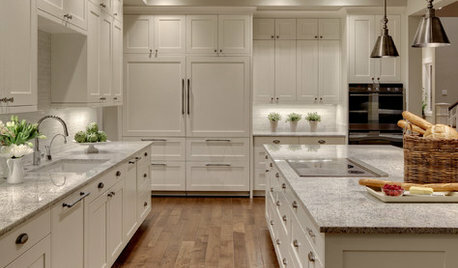 If you want white, go with a cream with the same undertones as your appliances. 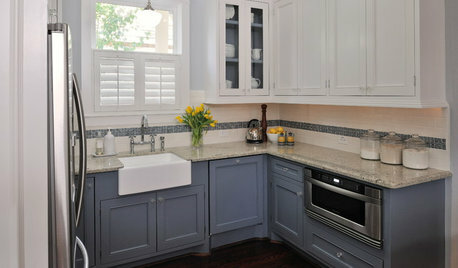 What color BM white cabinets with Silestone Lagoon?? 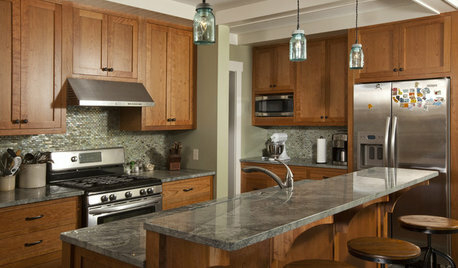 Of course you can paint oak cabinets and install new quartz. I know painters whose business is over 50% cabinet painting and has been for about 5 years. 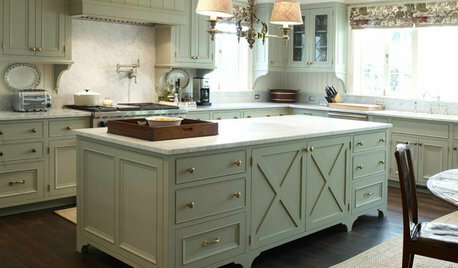 As long as it's done with proper prep and top tier product, the cabinets will look fresh and last for many years. Does the white need to be almost the same color as the trim white? Yes. Especially since you want to sell in three years. A cohesive thread of white woven throughout the house is important. 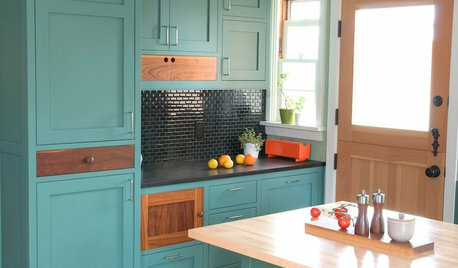 I think a dark chocolate for the cabinets would be great. 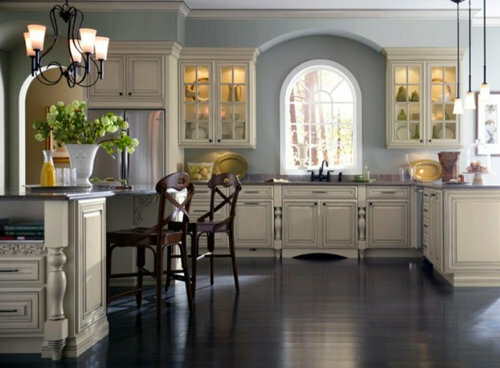 But you need to replace that dated mirror (I would hang two large framed mirrors under each lighting fixture) and repaint the room a more neutral color (it looks peach?). Remove that eucalyptus and the basket. 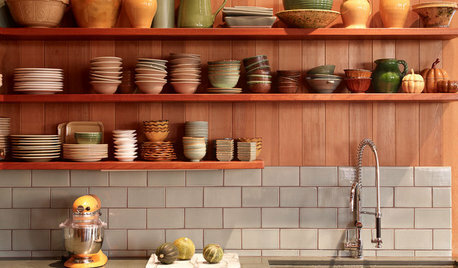 What color type of cabinet pulls should I go with? I'd still go with ORB or matte black. If they function well, I'd keep the black appliances. Seriously--stainless steel smainless shmeel. I think near black counters look really good with black appliances. For pull size, many apply the rule of thirds to this element of design. For example, on an 18&quot; drawer I'd consider a ~6&quot; pull. No greater than a half width unless you have a modern design with slab fronts, etc.